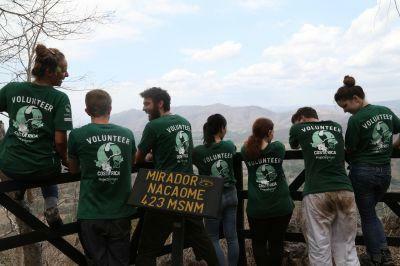 Projects Abroad volunteers in Costa Rica have implemented an exciting and worthwhile project in Barra Honda National Park. In an effort to assist residents of the National Park in combatting global climate change, volunteers have introduced an efficient and cost-effective system to manage waste: the bio-digester. The bio-digester was originally introduced to the park in 2011, but it was a basic, homemade version. Last December, Projects Abroad was able to purchase a real bio-digester for the park and volunteers and staff helped with the installation of the new device. The bio-digester converts wastewaters from the bathrooms of Barra Honda National Park into useable methane gas, which can then be used for essential activities such as cooking. By collecting the wastewater (or ‘agua gris’) from the bathrooms, the bio-digester utilises a process known as anaerobic digestion to convert organic material into gas. During this process, the organic material is broken down by a series of bacterial growth processes until finally, methane gas is produced. The process is a low-cost, environmentally sustainable way of simultaneously managing waste and producing usable gas. 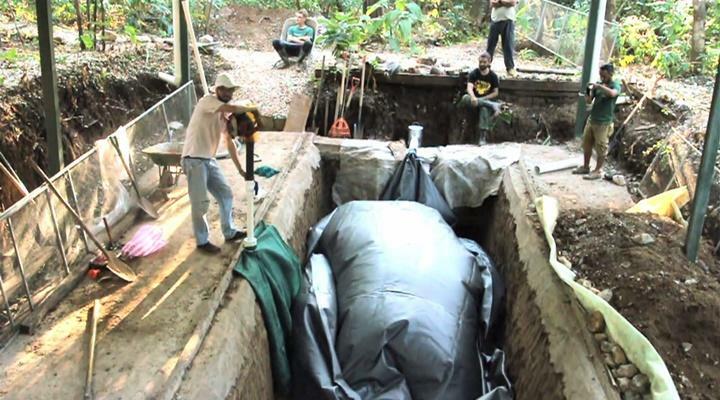 Barra Honda became the first National Park in Costa Rica with a bio-digester when volunteers first began the project. It started as part of the park’s participation in the Bandera Azul or “Blue Flag” programme implemented by the Costa Rican government as part of its initiative to become carbon neutral as a nation by 2021. Open to public and private organisations, the Blue Flag programme is comprised of an on-going series of evaluations that determine a particular organisation’s level of environmental sustainability. Gold stars are awarded when an organisation successfully passes the programme’s evaluations. When an organisation has been awarded five stars, it means that the institution is totally carbon neutral and earns the coveted blue flag. Earlier this year, three local schools in which our conservation volunteers work were awarded two stars each. They received these awards because each school has introduced a bio-garden and recycling system. Projects Abroad volunteers were instrumental in helping the schools achieve this success and are hoping for an equally positive outcome in relation to their work at Barra Honda. With the help of Projects Abroad volunteers, Barra Honda is able to carry out various projects to manage its waste output, as well as its use of energy and natural resources. The bio-digester is a vital tool in these efforts and Barra Honda is optimistic about becoming the first national park in Costa Rica to be carbon neutral and to be awarded the blue flag. Read more about Projects Abroad Costa Rica conservation projects and check back for updates on the Blue Flag Programme.